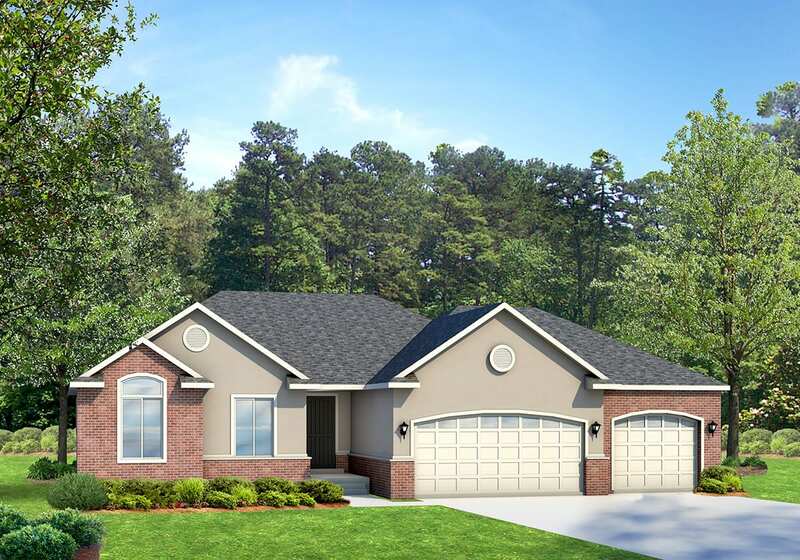 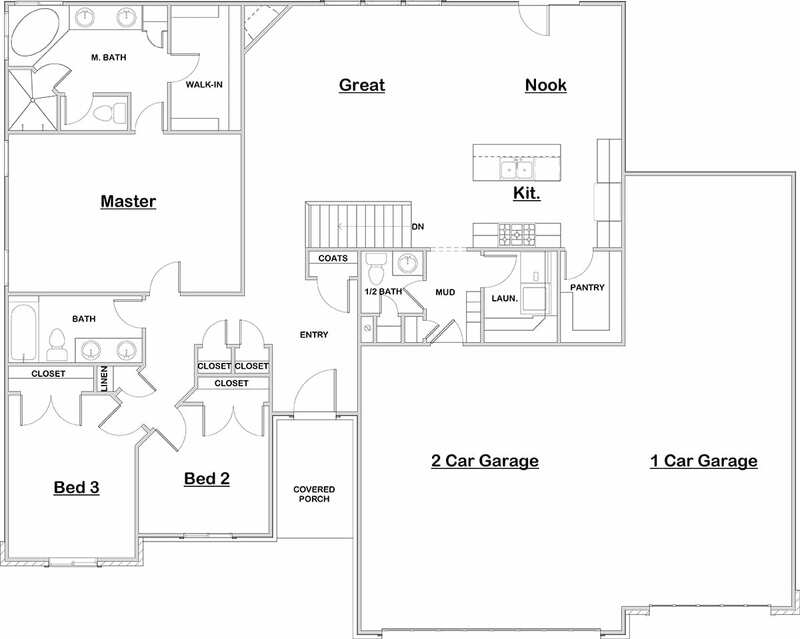 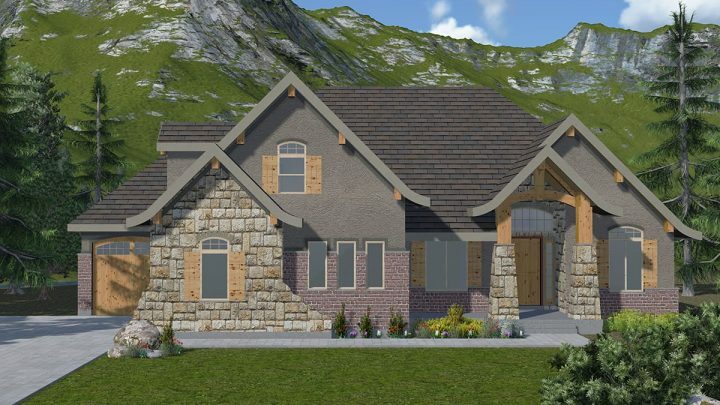 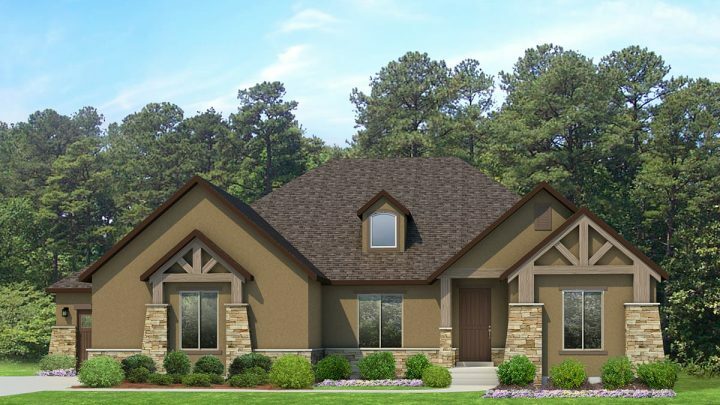 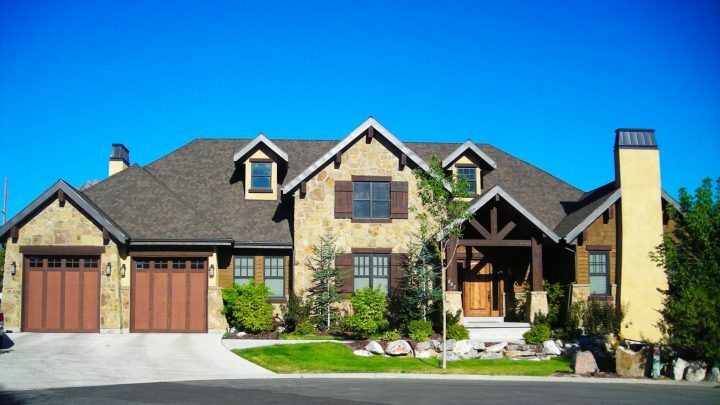 The Cambridge house plan is a rambler house plan with the large master suite on the main level along with 2 additional bedrooms and a 3 car garage. 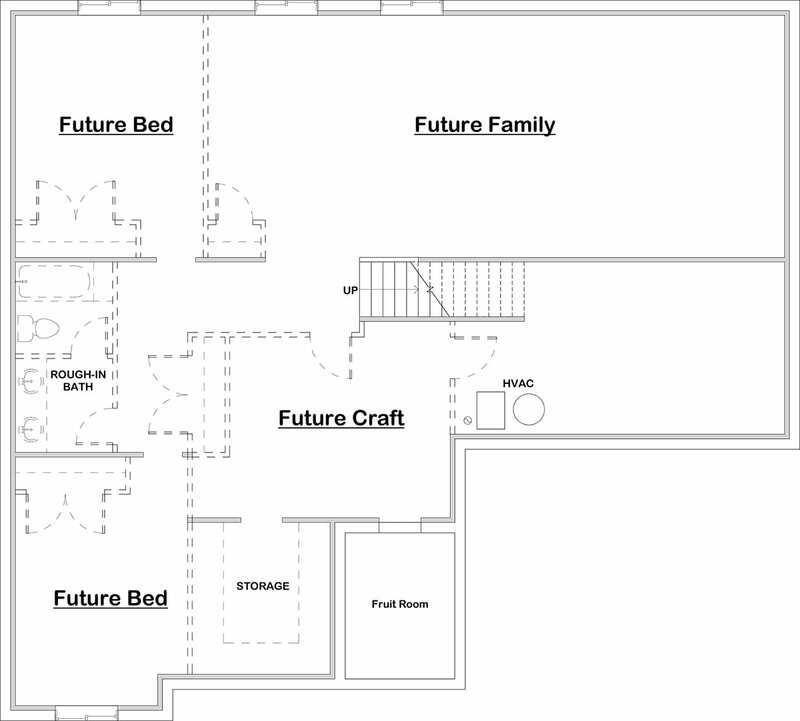 The lower level has room for 2 additional bedrooms, a fruit room and a large family room. 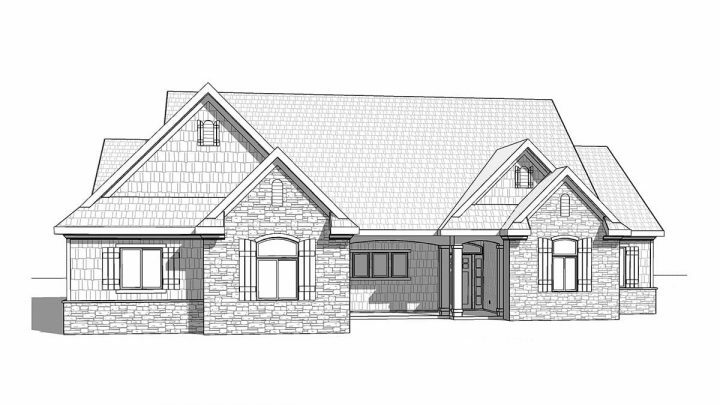 The Cambridge plan is shown here in a traditional elevation style, but it can be purchased with other elevation options.